The Problem: Popular image hosting websites like imgur and photobucket are either bloated or hard to use. 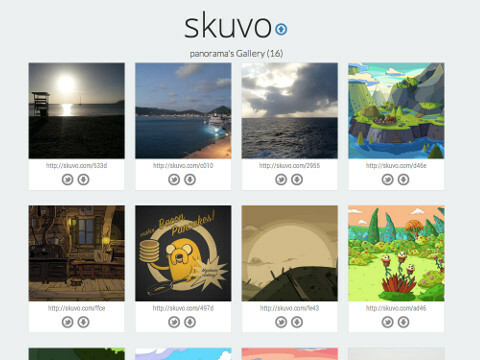 Skuvo allows users to easily upload images to a personal album and image gallery. From there, users can share their uploads with neatly formatted "short URLs" and download the images on different devices. Instead of bloating a front page with other users' submissions, a clean and quick interface is always presented. As a pet project with incredibly minimal effort spent on advertising or marketing, Skuvo reached 1000 unique photo uploads in just 9 months.